Being named as executor in someone’s will doesn’t automatically make it happen. You have to apply to the Pennsylvania Register of Wills to become executor, the Altman Gross law firm says on its website. The register will want to see the will, a death certificate and a petition for “grant of letters,” among other paperwork. If the register is satisfied, you take an oath to serve faithfully and the register issues the letters testamentary that identify you as the official executor. 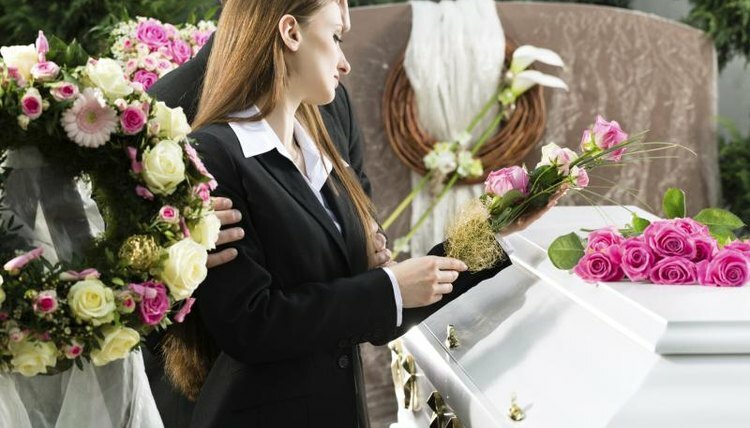 As executor, you have to draw up a list of all the assets -- savings accounts, real estate, insurance, valuable jewelry and everything else the deceased owned. For cars, houses or other noncash assets, Spencer's Law Firm says online, you may have to use the estate funds to hire an appraiser. If the assets are $25,000 or less, not counting real estate, the Nolo legal website says you should contact the local probate court. An estate that small may be able to use simplified probate. This wraps up the estate’s affairs and delivers the assets to the heirs faster. Before distributing any assets, you have to pay the estate's debts. Taxes are the top priority, including the deceased’s last tax return, the estate’s income tax return, plus any estate tax or Pennsylvania inheritance tax due. The estate pays inheritance tax if anyone but a spouse or charity inherits. Paying within the first three months after the death gets the estate a 5 percent tax cut. After taxes come any bills the deceased hadn’t paid off, such as credit card payments, mortgage payments and car loans. Until the assets actually pass to the decedent’s heirs, it’s your job to manage the house, the investment accounts and other items. If the estate includes real estate, for instance, you use the estate’s cash to make mortgage and maintenance payments. If there’s not enough cash in the estate accounts to pay the bills, you have to decide which assets to sell to raise money. If you need to recruit professionals -- accountants, real-estate agents, attorneys -- that’s a legitimate use of estate funds. Serving as executor is a demanding job, and you're entitled to a fee. Unlike some states, the Smith Kane Holman law firm says online, Pennsylvania doesn't have a clear, court-approved fee schedule. The fee for a given estate reflects the size and the effort involved, but figuring out what you're entitled to may require an attorney's advice. After the estate debts, bills and executor fees are paid, distribute the remaining assets to the beneficiaries in accordance with the decedent's will. If some property isn't listed in the will, follow the guidelines in Pennsylvania law. Smith Kane Holman: Fees, Fees, Fees -- Does Pennsylvania Have a Fee Schedule for Estate Executors and Administrators? Sherman, Fraser. "Executor Duties in Pennsylvania." , https://legalbeagle.com/6516437-executor-duties-pennsylvania.html. Accessed 25 April 2019.